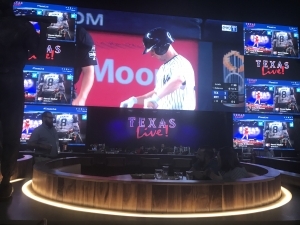 ARLINGTON (WBAP/KLIF) – Texas Live, an expansive $250 million mixed used destination, opened Thursday. Texas Live features world-class dining and entertainment. Arlington Mayor Jeff Williams said this vision started in 1991 and now it’s a reality. Williams said it’s projected to bring over 3 million visitors each year and over 3,000 jobs to Tarrant County. Former Cowboys Quarterback Troy Aikman and Former Rangers catcher Pudge Rodriguez opened their own restaurants in the complex. “I think it’s awesome I think the fans are going to love it. Whether they’re here for football games or baseball games, it’s great for them to be a part of live music,” Aikman said.